his site is about the English aristocrat Harold Finch-Hatton (1856-1904) and his writings. 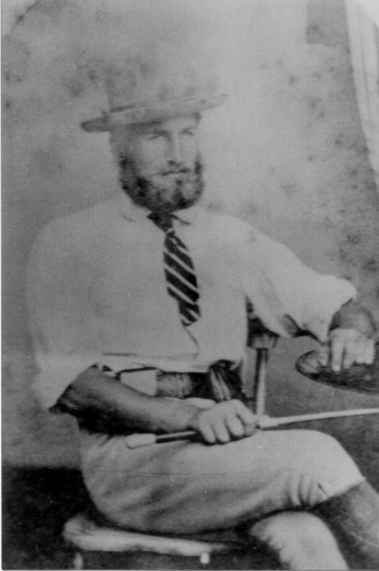 Finch-Hatton, the fourth son of the Earl of Winchilsea and Nottingham, spent eight years in Australia between 1875 and 1883. Most of this time was spent in the locality of Mackay on the central Queensland coast. Finch-Hatton was not an explorer, as the area was already settled. But it was still frontier country, and Finch-Hatton kept his eyes open, worked hard, and had many interesting experiences. Finch-Hatton is of interest now primarily because he wrote a book about his time in Australia called Advance Australia! This book is of historical interest because of its detailed look at life in Australia around 1880 on cattle stations, gold fields, and in the towns and cities, and its discussion of major social issues of the day (immigration and colored labour, government corruption, imperial federation). As a bonus, the book is also a highly enjoyable read. Finch-Hatton's writing is generally clear and forceful and often amusing in a stiff-upper-lip fashion. He did not hesitate to express his strong opinions, and was scathingly critical when he felt it was merited (which was often). 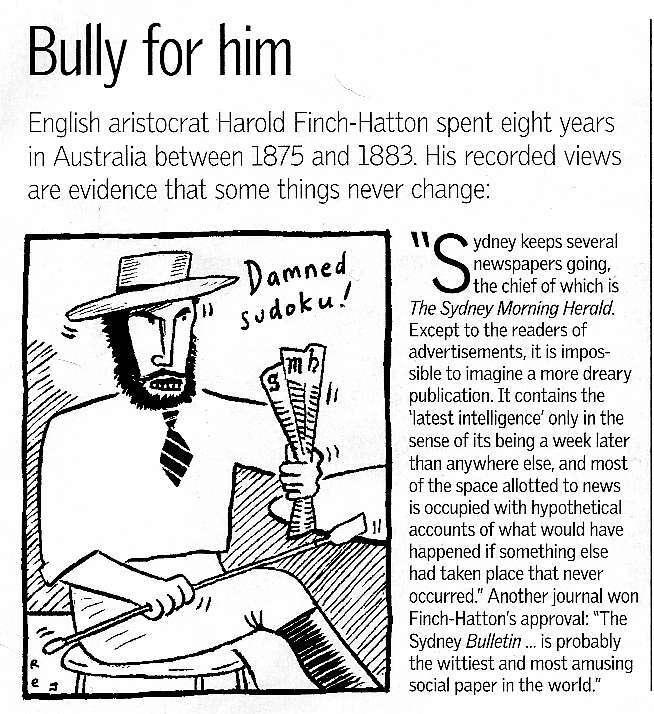 Update, March 13, 2006: The Feb 28, 2006 issue of the now defunct Bulletin newsmagazine had a brief piece about Finch-Hatton, with a cartoon of him and a couple of quotes. And, a new book has just been published about his nephew Denys Finch Hatton (from Out of Africa): Too Close to the Sun, by Sara Wheeler, in which Harold is described as a strong influence on the young Denys. She also describes him as "A man with a powerful sense of public duty", and "a model of moral seriousness and egregious self-confidence - an imperial beau idéal". Thanks to John Foley for taking some of the photos used in this web site, to Lyall Ford for permission to copy some photos from his book Below these Mountains , and to Bryant Wright for lending me a copy of the above photo. .